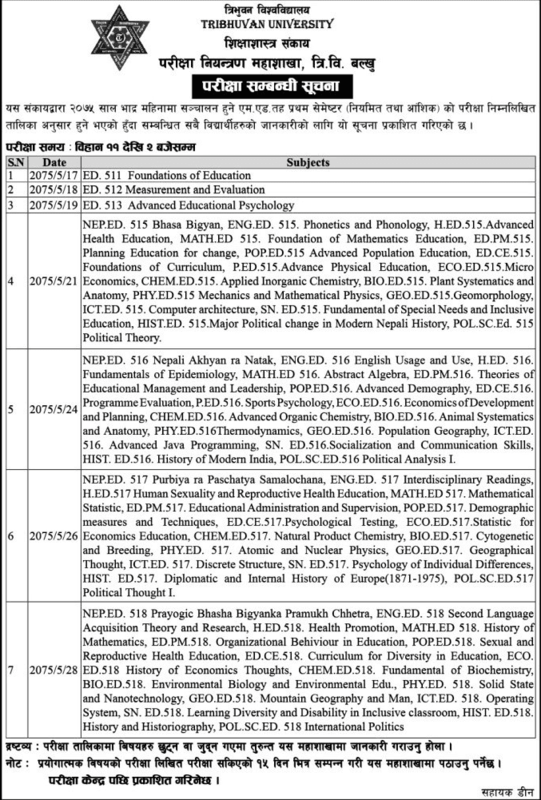 TU, Office of the Examination Controller published examination routine for both regular and partial of M.Ed. First Semester 2075. Examination time is 11 AM to 2 PM and Exam will start from 2075 Bhadra 17. Exam Centers will be published later by TU. Check TU M.Ed. First Semester Exam Routine 2075 notice below. Check the official site for details on TU M.Ed. First Semester Exam Routine 2075.